We celebrated our 5th anniversary on April 19, 2017! While there were some wonderful gifts and great deals you missed if you didn’t attend one of the events last week, we’ve decided to extend some of the specials online until April 30, 2017. To take advantage these specials, you will need to complete your purchase and book using the links provided. 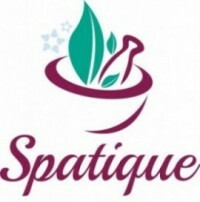 You may also go to www.SpatiqueSchedule.com. Use Promo Code APRIL1925 at checkout. « Beauty Sleep: Are You Getting Enough?